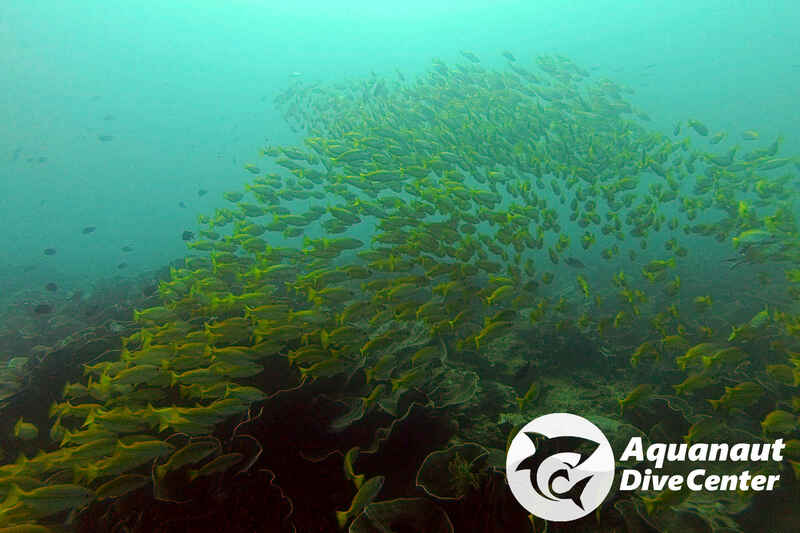 Also known as Biet point, South Miniloc dive site is located in the south-east tip of Miniloc Island. The dive site is a reef at a depth of 12 meters with triangular shape, facing Simizu Island and separated by a channel. This is the highlight of El Nido, a dive over or around the reef with a big variety of sponges, an amazing lettuce coral garden (locally called as cabbage coral), and full of aquatic life due current. Parrotfish, yellow snapper, bullseye, stonefish, scorpionfish, ribbon eel, map pufferfish, star pufferfish, nudibranch, orangutan crab, pipefish, gohst pipefish, robust pipefish, trumpetfish, unicornfish, anemone fish, lunar fusilier, trevally, scad, tuna, napoleon wrasse, grouper, bumphead parrotfish and seasonal evil and marbled ray.